Troy Causey and Johnathan Turner were best friends and rival basketball stars. When they fought, Troy died, a recruiting scandal was exposed, and lives and reputations were damaged forever. DALLAS — The last steps of Troy Causey’s life led him out of the south Dallas home where he’d been staying, past the gated front door, past the tattered basketball hoop and onto the asphalt to fight his roommate, Johnathan Turner. What happened next? Those awful moments have been the subject of debate and heartbreak here for more than a year. A few minutes later, a group of men carried Troy back inside the house. His skull was fractured and his ears were bleeding. Around 9 p.m., he was carried out by Dallas Fire Rescue, which had responded to a 911 call. They dropped a breathing tube into his throat and sped him to Baylor Hospital as he slipped into a coma. Not 24 hours later, on March 24, 2014, doctors declared Troy dead. The questions came quickly: Why was neither boy living with his family and one not within his school district? How could a fight between Johnathan and Troy, best friends, roommates and stars on rival high school teams who had both been offered college basketball scholarships, end in death? What really happened that night? The search for answers has cost 15 Dallas Independent School District employees their jobs. It has brought down two state championship banners. It has even caught an ex-Kentucky coach in its wake. It has turned relatives into rivals and ruined reputations. And it has sent one family with a crushing loss on a quest for a justice it may never know. 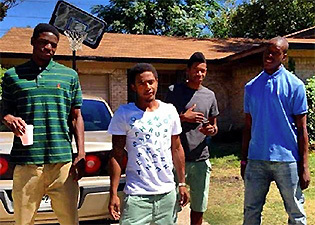 Johnathan Turner (left), Willie Hollins (second from left) and Troy Causey (right) stand in front of Willie's house with another young man. Neither Troy, who played for Wilmer-Hutchins High School, nor Johnathan, who helped Madison High School win back-to-back 3A state championships, should have been eligible for the 2013-14 season. But athletic recruiting and transferring have been issues in Texas since the 1930s, when the search for and the wealth from oil birthed new towns seemingly every month. Those new cities wanted old-school success, so tycoons would offer jobs to the fathers of star players if they’d move their families. In 1933, the University Interscholastic League, which governs Texas high school sports, enacted a one-year sit-out period for non-senior transfers throughout the state. The rule was deemed unfair to students and lifted in 1981. Still, students are forbidden from transferring for athletic reasons. 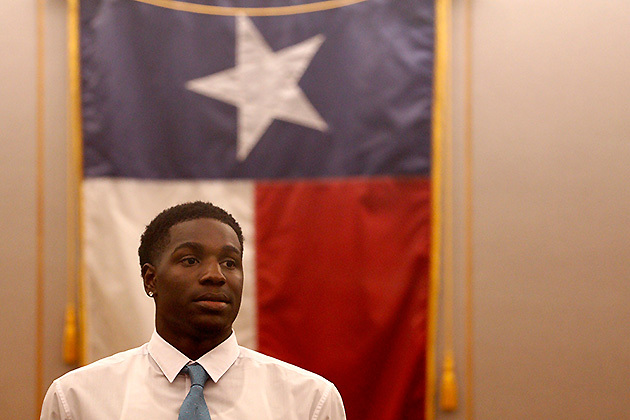 About 2,000 Texas athletes a year change schools now, though it’s impossible to know how many are skirting the rules. Johnathan and Troy had definitely defied rules. Before high school, their lives were disparate. Johnathan was one of five siblings whose parents would come and go from their lives. Two of his brothers have John in their names—John-John and John—so Johnathan went by “Bubba.” At times during Johnathan’s childhood, he bounced among grandparents, cousins and friends, rarely resting in one spot long enough to call it home. By the time Johnathan was in eighth grade, he was 5’10” and had begun to view basketball as a way out of the life he’d been handed. At a Cornerstone Baptist Church outreach program in his neighborhood, Johnathan met Ben Kundmueller, then 24 years old. He would become one of Johnathan’s few constants; the two would play pickup basketball and get pancakes at Denny’s. Kundmueller learned about Johnathan’s troubled childhood and would help out with school supplies and groceries when he could. Johnathan never asked for anything he didn’t absolutely need. After enrolling at Madison as a freshman in 2012, Johnathan borrowed bus fare from Kundmueller and moved to Georgia to play basketball for North Atlanta High School as a sophomore. His sister, Bricka Evans, said he came back home abruptly in January 2013 and began playing AAU basketball for the Dallas Mustangs. Through that team, he met Willie Hollins. That summer, after Johnathan’s mom left for Alabama, he moved in with Willie and his mother, Jeanee Miles. Her house was about nine miles from Madison High, but he never told his coaches he lived there. And even though they would sometimes drive him there after practices and games, they never asked. Troy, meanwhile, grew up guided by the steady presence of his mother, Tammy Simpson. She worked “8 to faint” in electronic discovery at a law firm and later as a realtor. She kept him busy after school, from tutoring to taekwondo, but basketball stuck. He could make a layup on a 10-foot hoop at the age of three. Tammy, who played basketball at Southeastern Louisiana in in 1992 and ‘93 under her maiden name LeRoy, coached Troy until he was eight. When Troy was 10, she took him to an AAU tournament at TCU in Fort Worth and there met a referee named Roferrel Simpson. They’ve been a family ever since. They added another son, Sentel, in 2007 and a daughter, Rienne, in ‘10. They married in ‘11. Troy had been in special education since first grade for being, as Tammy put it, “emotionally disturbed;” she says that was a result of him finishing assignments early and bothering other children in class due to boredom. As a freshman he got a waiver to enroll at Berkner High School, which had one of the best special ed programs in the Richardson Independent School District. After bad grades and a single incident of bad behavior—the details of which Tammy can’t remember—the principal revoked Troy’s waiver, and he was forced to go to Richardson High, his zoned school, for the spring semester. There he fell in with uninspiring friends and began cutting classes and eventually skipping school altogether. By his sophomore year, Troy was failing every class except for P.E. He eventually landed on probation for reasons that are unclear (his family declined to disclose the details on the advice of their attorneys, and juvenile records are sealed) and, after what they describe as a non-violent altercation with Roferrel, spent eight months in a juvenile detention center starting in August 2012. Tammy Simpson raised Troy on her own for much of his childhood. 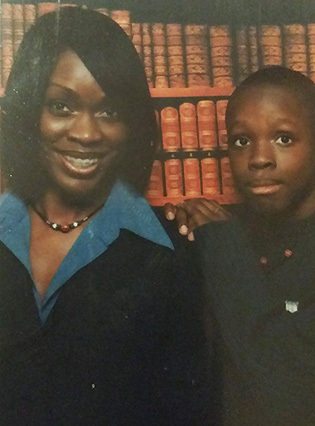 At Dallas County Youth Village, Troy kept up his schoolwork, got his food handler’s license and, Tammy says, he was never disciplined for bad behavior. 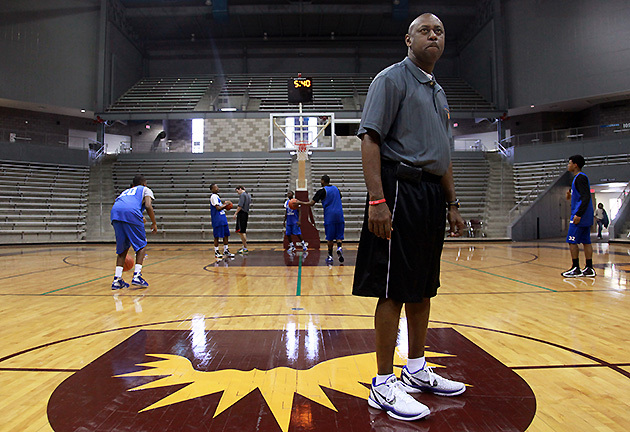 Near the end of his term, in spring 2013, Troy called Tammy to tell her that John Burley, the coach of Wilmer-Hutchins, had visited him and asked him to be a part of the basketball program. Although Tammy was initially upset that someone unauthorized had visited her son, she quickly recovered when she heard Burley’s pitch. When Troy was released in April 2013, he went to live with his mother at her home in Hamilton Park, a neighborhood in north Dallas. Together with Burley, Tammy says she signed documents to make it look like her family had moved to a house on Leaning Oaks Drive, within Wilmer-Hutchins's zone. As his absences mounted at the beginning of the 2013-14 school year, Tammy became concerned with Troy’s long commute to school. Burley, she says, had a suggestion: Why not move him in with Willie and Jeanee? The boys had grown up playing basketball together and had recently discovered a relation: Tammy’s cousin was Willie’s father. On Sept. 25, 2013, she dropped him off. He’d spend weeknights there and most weekends at home. Johnathan, Willie and Troy had planned to play college basketball together. Tammy had contacted a friend at Seminole State College in Norman, Okla., where she had played before Southeastern Louisiana. Coach Don Tuley said in a text message to SI that he had had interest in Troy but wouldn’t comment on the other two. But former assistant coach Chris Myers—who Tammy said had led the recruitment efforts—told SI that he had offered all three boys a scholarship. Johnathan was clearly the best player of the three, scoring 17.1 points and adding 10.7 rebounds a game as a senior. On Feb. 24, 2014, he scored 23 points and helped Madison eliminate Wilmer-Hutchins, 79-65, in the district playoffs. Willie led all scorers with 27 points; Troy finished with just two. On March 8, Madison defeated Houston’s Yates High to take home the 3A state title. On Sunday, March 23, Troy was named the district’s Newcomer of the Year by its coaches. He never heard the news. This story is based on dozens of hours of interviews with current and former school officials, coaches and investigators in Dallas Independent School District; as well as interviews with family, friends and coaches of Troy Causey and Johnathan Turner. Information on the police investigation was gathered from case files shared with SI by Tammy Simpson, Troy’s mother. Information on DISD’s investigation was gathered from reports shared with SI by attorneys representing Simpson. When possible, scenes were recreated from multiple eyewitness accounts and documents. The weekend that he died, Troy was supposed to be at Tammy’s house. Tammy had planned to get him on Friday night but he had gone to play basketball at South Oak Cliff, a weekly tradition for the city’s top prospects. On Saturday, she spent the day searching for unlisted homes for a new client. Troy called her from Johnathan’s phone telling her his phone had broken. She said she’d pick him up on Sunday and get him a new one. On Sunday, another client’s offer had been accepted, and she rushed to finish the paperwork. Around 9 p.m., she wrapped up her work and prepared to pick him up and buy him a phone from Wal-Mart or whatever store was still open. At 9:23, Jeanee called: There’s been an accident. Troy was hurt badly. Get to Baylor Hospital right away. She gathered Sentel and Rienne, called Rofferel and got in the car. She remembers seeing Troy for the first time in the ER, a machine breathing for him, his face swollen beyond recognition and his eyes wide open. “I saw death in his eyes,” she says. The nurses told her that a neurologist would arrive the next day make a final determination about whether he would survive, but as soon as Tammy saw the hospital chaplain, she knew Troy wasn’t coming back. Police officers had followed rescue workers to the hospital. 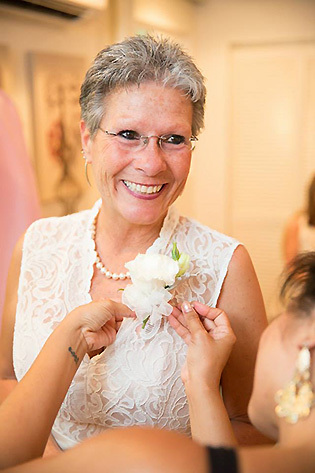 As Tammy’s friends and family poured in, the police heard Troy’s initial diagnosis of severe brain swelling and returned to Jeanee’s house to investigate what was now a possible assault. They canvassed the neighborhood and ordered PES—physical evidence services—to scour the area. The first witness interviewed, neighbor Charlene West, said she saw three black men attack another man and then escape into the alley. She knew Troy, but it was so dark, she said, that she couldn’t recognize him or any of the attackers. At the hospital Monday morning, Johnathan and Willie finally arrived. They stood at Troy’s bed opposite Roferrel, who asked them where they had been the night of the fight. Roferrel says that Willie did all the talking, telling him they were at their girlfriends’ houses and that whoever had done this to Troy—We’re gonna get him. After Troy was declared dead that afternoon, police reassigned the case to homicide detectives Esteban Montenegro and Derick Chaney, who returned to Jeanee’s house and scouted the blood splatter on the pavement. It extended five feet and four inches from the spot where Troy’s head had laid. They interviewed West again and talked with Jeanee, who said she had been in the back of the house and hadn’t heard any fighting. 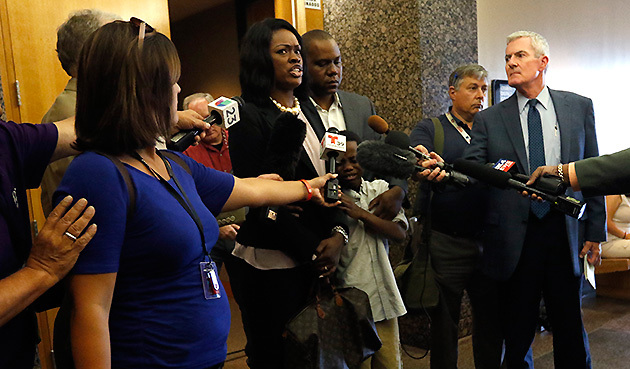 On Tuesday, Johnathan and Willie walked into Dallas police headquarters with their attorneys. Willie spoke to the detectives first, then Johnathan. Their stories matched on every detail: Johnathan and Troy had agreed to fight. It was one-on-one. Johnathan got a good hit in. Troy fell and hit his head. No one kicked him while he was down. No one else was involved. The stories, detectives thought, seemed too similar. They released the boys and began to investigate the central question of the case: Did Johnathan intend to kill Troy? The detectives had warned Johnathan and Willie to tell the whole truth about Troy’s death because physical evidence could go against their story. The next day, detectives visited the medical examiner who had performed Troy’s autopsy. She listed the cause of death as a homicide and told them that the blood splatter pattern was inconsistent with a fall. She felt it was from blunt-force trauma. Detective Montenegro called Jeanee to interview Willie again. They set an appointment for 4:30 p.m. that day, and Montenegro said that Willie Marsaw, their attorney, had the option of coming. Moments later, he received a call from Marsaw, who was agitated because he felt he hadn’t been invited. He told Montenegro he would report him to internal affairs. Montenegro reminded him that he had a recording of all their conversations; in his report, he described Marsaw as “unprofessional.” There is no record of the police interviewing Willie again. The police went on to interview Frederick “Cat Daddy” Weaver, son of neighbor Charlene West (who gave the initial account of three unknown black men fleeing the scene). He had witnessed the fight when he returned from out of town with his girlfriend. He said it was a one-on-one fight and Troy hit his head and “they were all shocked.” Richard “H-Town” Williams, another friend of Willie’s who was there that night, described Johnathan’s punch as an upper-cut. When Troy hit the ground, he said, he started shaking. They scoured the schools next. Detectives brought Burley, Troy’s coach at Wilmer-Hutchins, to the police station, and he said he first heard the news at about 10 p.m. from Jeanee, who was a friend of his and who kept the books for the basketball team. They asked him what he had advised Jeanee to do, and he said he’d told her to tell the truth no matter what. They asked him what he thought of the fact that everyone had told them the same story. He said it must have been either the truth or a lie. He later agreed to submit to a polygraph test. The arrest warrant affidavit was drafted, and on May 5, police picked up Johnathan at Madison High School and charged him with murder. As the police had been investigating the fight, another investigation had been underway within DISD. Anita Connally, an educator since 1984, had been an athletics compliance officer since 2009. In Dallas Independent school district, students were not allowed to transfer for athletic purposes; if transfers wanted to compete at their new schools, they had to fill out Previous Athletic Participation forms, be approved by the District Executive Committee and submit to home visits from coaches. Connally observed corruption right away, particularly in the DEC meetings, where she noticed that transfers were rarely denied. Anita Conally blew the whistle on the recruiting scandal—but she never imagined where it would lead. In January 2014, Connally heard that Jeremy Liebbe, a 10-year investigator for DISD and a former police officer, had been hired to run an investigative unit in the Professional Standards Office. She set up a meeting with him before he had even purchased his office equipment. She presented him with documents detailing recruiting violations throughout the district. Liebbe told her that he was excited to work with her—as soon as he had his team in place. Then on March 24, Connally turned on the 10 o’clock news and heard of Troy’s death. The report mentioned other students who were living in the same home, and her investigative instincts kicked in. How many students were living there? Where were they enrolled? She didn’t sleep that night and drove to Wilmer-Hutchins the next day. In a box of records there, she found a utility bill and a water bill that listed an address that didn’t match Jeanee’s house, where Troy was staying. She found home visitation forms signed by assistant coaches Kiondi Smaw and Anthony Carter and confronted them about the inconsistencies. All they would say is that they signed it. Unsatisfied, she went to the home on Leaning Oaks Drive that was listed on his transfer papers and knocked on the door. The woman there asked her to leave. Liebbe and his team discovered that at least 11 coaches or school officials had forged documents, shared sensitive student material or faked home visits. A forged Green Mountain Energy bill was manipulated and used by multiple students to establish residency and gain enrollment in their preferred schools. Tammy Simpson had even given one for Troy. According to a later lawsuit filed against DISD, coaches used the same house on Leaning Oaks Drive up to a dozen times to fake residency for transfers. The investigation concluded that a quid-quo-pro system was in place among coaches and administrators, a collection of whom conducted DEC meetings—if they approved a player transfer to one school, they would receive approval for their future transfer requests. Burley, Troy’s coach, was among the worst offenders. The investigation found him guilty of failing to enter homes he had said, via signed documents, that he had visited and coercing coaches and teachers to corroborate his reports with their signatures. “I know this was not right,” Carter, one of the assistant coaches, told investigators, “but I did it anyway, because I didn't think he would get me in any kind of trouble.” Burley didn’t return phone calls or text messages seeking comment. One June 6, DISD superintendent Mike Miles announced that he would fire 15 athletic officials as a result of the investigation. Among them were DISD’s athletic director, two assistant athletic directors and the coaches of Johnathan and Troy. At 2:30 that afternoon, Connally was also told to report to H.R. When she arrived, she was told that she, too, had been terminated, for “failure to follow directives.” The woman who blew the whistle on the scandal was exiled along with the perpetrators. After arresting Johnathan, prosecutors decided to convene a grand jury. They hoped to see if witnesses would change their stories under threat of perjury. They didn’t, and the physical evidence also became less compelling when Dallas county’s chief medical examiner contradicted the earlier ME’s report by testifying that the blood splatter could have, in fact, come from a fall. The grand jury reduced the charge to manslaughter. Johnathan, a three-star recruit on Rivals.com, was the best basketball player of the boys living with Jeanee. She started picking him up from school, bought him food and clothes and eventually found him a new attorney, Kobby Warren. After Johnathan was arrested, she visited him in jail at every opportunity. Warren got Johnathan’s bail reduced from $500,000 to $50,000, and Lain and Ben Kundmueller, Johnathan’s childhood friend and mentor, split the bond. Kundmueller had offered for Johnathan to move in with him when he was in high school, and he wanted to make the same offer now. Once he was convinced that the fight was an accident, he told his wife’s parents, Phil and Lisa Wade, about his plans. He and his wife were expecting their first child, and so Phil and Lisa made a suggestion: Why don’t all three of them move in? For the next year, Johnathan stayed with the Wades and the Kundmuellers. He graduated from an alternative high school and worked at a parking service Kundmueller owns. They had family dinners on most nights. As Warren and prosecutors negotiated a plea deal, the family helped prepare him for the difficult day when he’d have to face Tammy and Roferrel again. 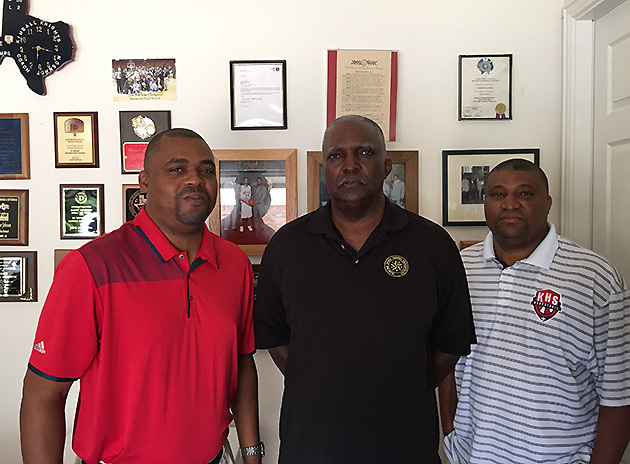 Roderick (left), Goree (center) and Snoop Johnson all lost their jobs in the wake of the DISD recruiting scandal. On the one-year anniversary of Troy’s death, while Dallas prosecutors and Johnathan’s attorneys were negotiating the plea deal, Tammy announced a lawsuit against Dallas Independent School District. And she wasn’t the only one—Jeremy Liebbe and Anita Connally have also filed suits against the district and the county, for wrongful termination. But the family that perhaps best represents that black Friday in DISD athletics is the Johnsons. Goree, the patriarch, came to DISD as a coach in 1983 and led Kimball High School to back-to-back 5A state titles in 1996 and ‘97. When he retired from coaching to become an administrator, his son Snoop took the top spot. Snoop has won three state championships at Kimball, which is now a 4A school. And Roderick had won a state championship at Madison in his first season in charge. When they agreed to meet with a reporter in June, Goree was wearing a Texas High School Coaches Association Polo, Snoop was wearing a Kimball High Polo, and Roderick had on his state championship ring. Roderick and Goree would go on to contest their terminations on the same day as Connally. All three firings were upheld by a 2-1 vote from the board of trustees. Goree’s defense was that he had overseen 5A schools, and this was a 3A scandal. DISD didn’t find ignorance to be an appropriate excuse. “The administration is not going to pretend anymore that those things aren’t happening,” Carlos Lopez, an attorney representing DISD, said at the time. Within months, many of those fired—including Troy’s coach and DISD’s athletic director—would be allowed to resign and have the investigations expunged from their records. Roderick now drives for a private contractor at night. Snoop is trying to break into the busy world of high school basketball camps. Goree, who was two years away from retirement, bought a herd of cattle in his hometown of Sunnyvale and sells them at auctions. This Christmas was the first time every man in the family got the other one a gift. They say they’re closer now, and they’re thankful for that. But that closeness came at a steep cost. And what about DISD? Has it learned from its latest recruiting scandal? Gil Garza, the district's new athletic director, thinks so. He personally reviews all Previous Athletic Participation Forms now and has encouraged DEC members to vote their conscience on transfers, not just to vote in hopes of garnering future favors. “We may forfeit a game or two, but we’re not going to forfeit any championships,” Garza says. “Our kids deserve better than that. Our community deserves better than that. In a cruel bit of irony, Madison lost in the semifinals of 4A state playoffs last March to Bridgeport High, which featured four transfers in its starting lineup. Those four players scored all 68 of Bridgeport’s points. Willie, No. 4, played basketball briefly for Angelina Community College, but the tragedy chased him there as well. That initial interview was postponed and then canceled at Marsaw’s request. He later barred his clients from speaking with any members of the media. In late August, though, a friend of the family called SI to speak on their behalf. This person requested anonymity for fear of retribution from Marsaw. In the first weeks after the fight, the Miles family lived in constant fear of Johnathan or Willie being arrested; but even in the intimacy of conversations with close friends, they never believed Willie was involved other than as a witness. Willie was portrayed as an outcast by the media, which had focused on Johnathan and Troy, but he had considered them brothers and indeed had offered them both a place in his family’s home. He relived the fight daily, talking to anyone who would listen about what he could have done differently. He had seen one of his best friends kill the other. He cried constantly. 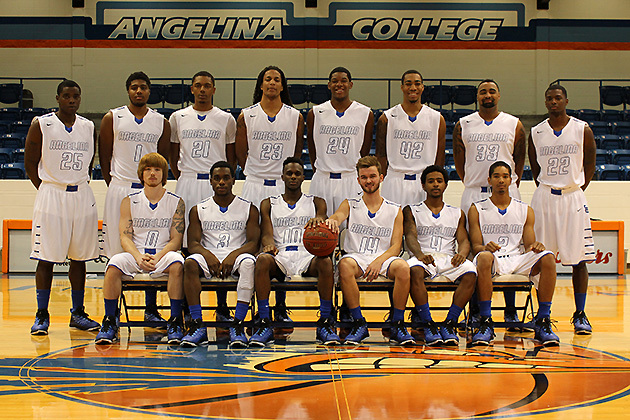 Last fall, Willie enrolled in Angelina Community College Lufkin, Texas, and joined the basketball team. When Tammy found out, she posted inflammatory messages on the school’s Facebook account. She called the coach, Todd Neighbors, and the president, Larry Phillips. Neighbors did not return phone calls, but Phillips confirmed to SI that it was the coach’s decision to remove Willie from the team. He denied Tammy’s influence in the matter. Willie didn’t return for the spring semester. For a while, Jeanee wanted to move out of that house, but she couldn’t afford it. 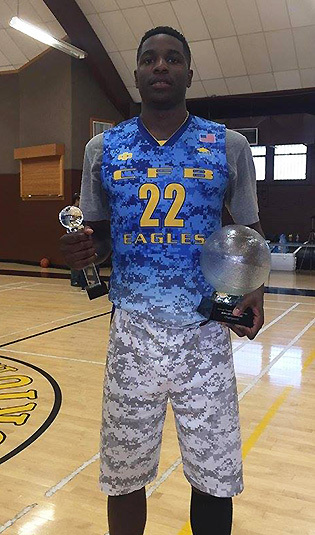 The best news for the family in more than a year came in August when Willie received another opportunity to play junior college basketball. But Jeanee won’t tell anyone where he is, and there are more than 50 junior colleges and community colleges in Texas. She wants his future to take off without the weight of their past. Tammy and Roferrel Simpson told reporters after Johnathan's hearing that justice had not been done. Roferrel yelled back that if he had truly been sorry, he should have said so from the start. Tammy, during her victim impact statement, told Johnathan she could never forgive him and that she hopes he never finds peace. They believed that juvenile detention had matured Troy. That he was going to graduate from high school. That he would go to college. That he again controlled his future. Then one night, all those dreams and all those goals were stripped away in a single act of senseless violence. For Roferrel, it’s been doubly difficult. As a 7-year-old boy, he lost his 3-year-old brother, Sentel, when he drowned. As a child, he never grieved that loss. (He and Tammy named their son after him.) Troy’s death forced him to confront both tragedies at once. Sometimes, when he is overwhelmed by anger, he goes to 24-Hour Fitness to try to work it out of him. When he is sad, he drives around aimlessly in his car or just sits in it and watches Netflix on his phone. Tammy literally could not touch Roferrel for the first six months. She singularly focused on justice. She said yes to every interview and called, emailed and texted detectives daily. She searched to the bottom of Facebook feeds for evidence. She called everyone even tangentially related to the witnesses or coaches involved trying to find any clue. Anytime she found something, she alerted investigators, but witnesses who shared information with her were often gave contradictory statements to police or avoided them altogether. Early on, for example, Tammy received a Facebook message from Johnathan’s sister, Bricka, saying that she had heard Johnathan kicked Troy while he was on the ground. However, she later explained to investigators that she’d heard that information third-hand. She has panic attacks now. At one point during a six-hour conversation with SI, she ran out crying. Between wails, she said, “Troy, I’m going to be strong for you, baby.” She hasn’t found any satisfactory answers through the police, so despite the finality of the plea agreement, she still spends her days searching for new information on her iPad. She has found no relief with God, so she prays to her ancestors for strength. She didn’t ever want to be an advocate, but now she finds herself a heartbroken spokeswoman against the evils of relentless recruiting and the effects of senseless violence. She stays awake at night, scrolling through her Samsung Note, calling friends who are still up and cleaning the house. At some point most nights, Sentel and Rienne will wander into their bedroom. Tammy will join them, the whole family together. “I feel like we’re all missing a piece of something, and being with each other helps to put it back together,” Roferrel says. Together, they fall asleep to escape the nightmares. Turner pled guilty to manslaughter and received seven years' deferred probation. What does the future hold for Johnathan? Through Phil Wade, the man whose family took him in after his arrest, Johnathan declined to talk with SI. The family says it’s still too raw for him to discuss. However, a close friend of Johnathan’s, who agreed to speak to SI on the condition of anonymity, says that even in Johnathan’s lowest moment, when he was waiting for the grand jury’s decision in a jail cell, he never changed his story. Johnathan had only kept one secret from investigators, according to the friend, and it was that Willie had encouraged them to fight. There will never be a definitive account of what happened that night. But the version Johnathan told his friend and the story his lawyer tells match: Johnathan and Troy got into an argument over a video game controller. When they walked out onto the street, it started as a play fight before becoming more serious. Johnathan landed a powerful punch on Troy. Troy fell, and in the ensuing panic, Johnathan and Willie ran. It was Johnathan’s conscience, though, that brought them to the police station two days later to confess. Johnathan hasn’t found peace, but he is beginning to move on. In August, he was accepted into Ranger (Texas) College, a community college where he will play basketball again, this time for former Kentucky coach Billy Gillispie. Ranger’s president, Bill Campion, believes Johnathan deserves a second chance. Tammy thinks another opportunity for him is a tragedy. When Johnathan moved, he left behind one thing for safekeeping: His state championship ring. He never thought he would receive one because it was so expensive and he had no money, but his friend Brenda Lain asked him the questions of the form—did he want Bubba or Johnathan? What was his number?—so that she could fill it out for him and surprise him with it later. His answers to the questions surprised her. The ring was a size too big, so held it in his palm, that tiny token of what little had been gained and what all had been lost. He wept.